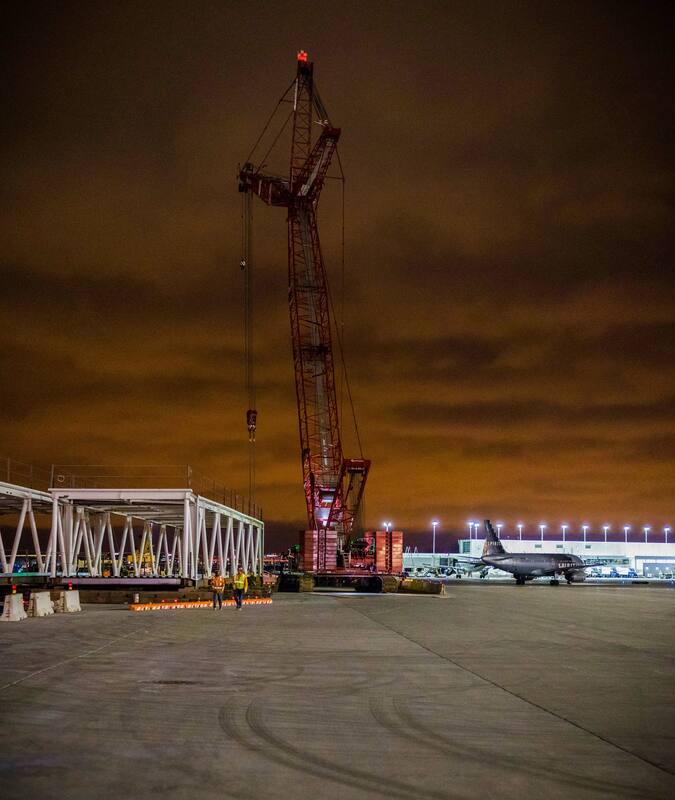 How did we build the structure for a new concourse while keeping flights on schedule? 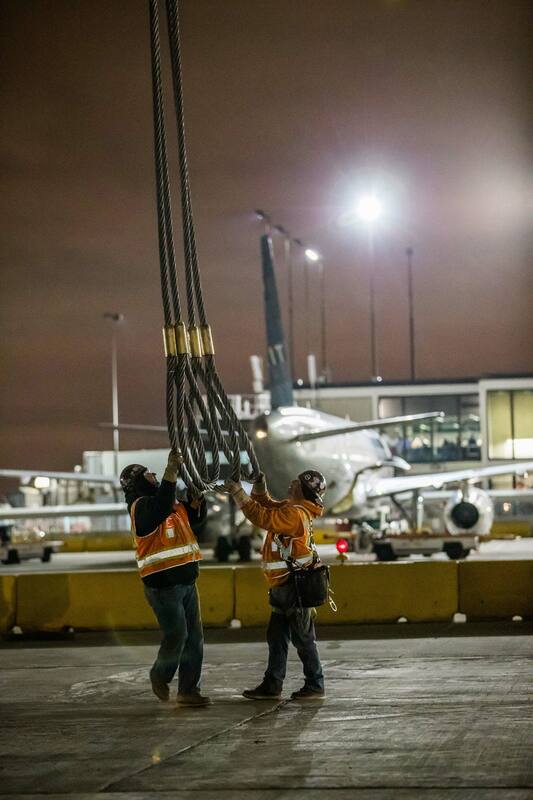 There are few other construction projects that are as challenging as working on an active airfield. 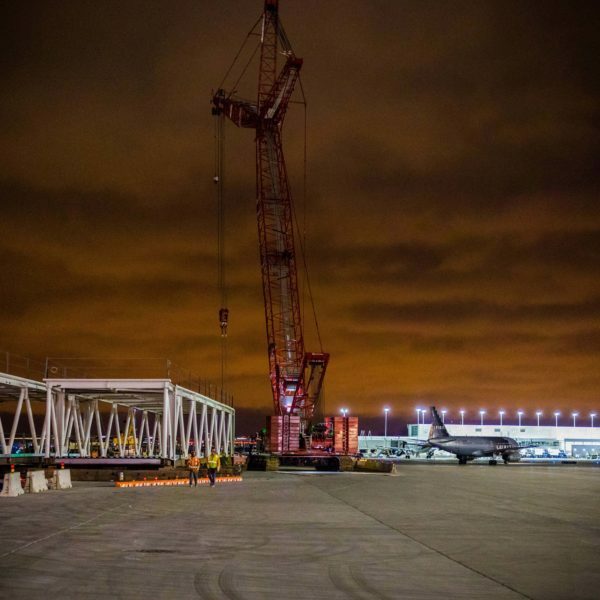 Regardless of scope, the primary objective of any such project is to meet deadlines without causing disruptions to ongoing airport operations. 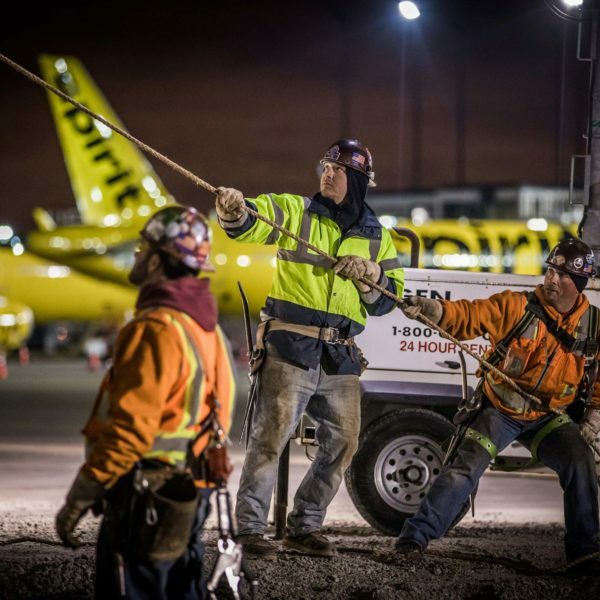 Paschen was selected as the Construction Manager at Risk to build the first new gates at O’Hare International Airport in over twenty-four years. 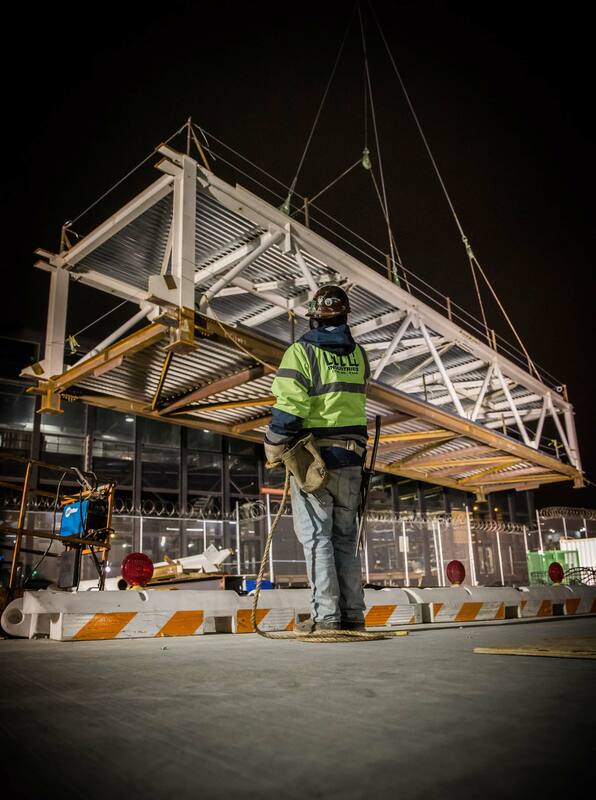 The project site is surrounded by the L Concourse in Terminal 3 which supports 55-65 flights a day, a baggage roadway used by GSE equipment, and an active Guard Post used by airport security, firefighting operations, and other first responders. To the north of the site lies the airport’s central refrigeration and heating building, a substation, and the communications central office. 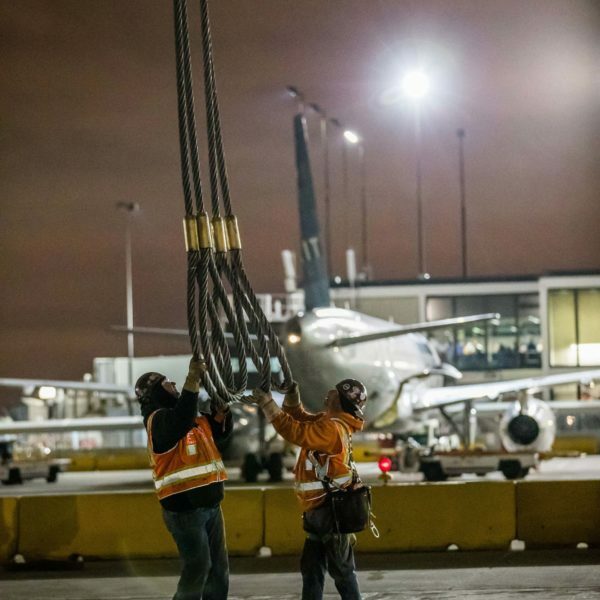 In addition to the already complex nature of building on an active airfield, Paschen had to devise innovative methods for erecting a nearly 600’ long walkway without impacting the gate operations of six different carriers, while maintaining access for emergency equipment to airport operations areas. 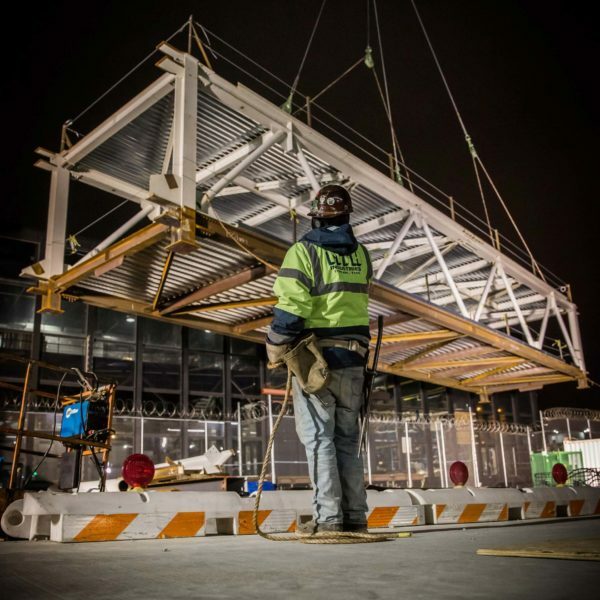 To address these challenges, Paschen, in collaboration with the design engineers, fabricator, erector and American Airlines, came up with a design for the bridge that would allow the walkway to be erected in three segments. The largest of the segments weighed 221,000 lbs. 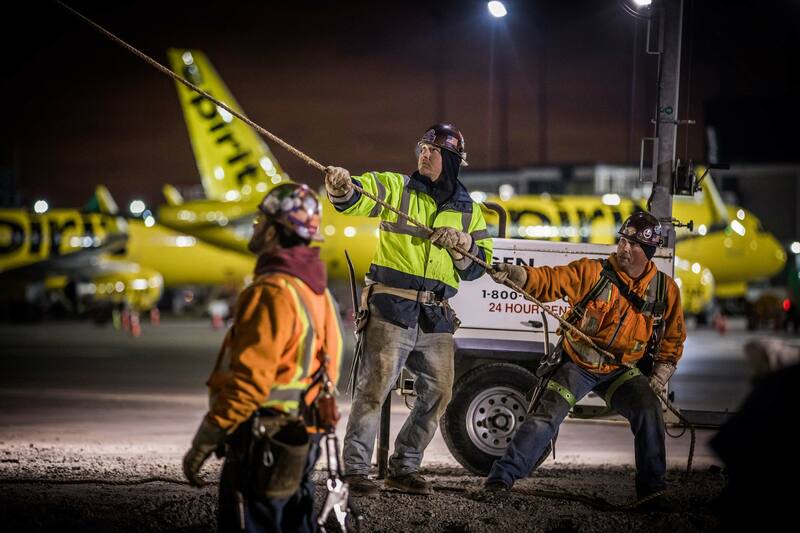 By leveraging laser scanning and 4D animation, Paschen was able to plan its work and create an animation for the stakeholders to show how the erection of each piece over the course of three nights would save months of work.